PROTECT YOUR BUSINESS! YOUR BUSINESS AND FINANCIAL INFORMATION ARE CONFIDENTIAL! TO DISPERSE INFORMATION TO THE PUBLIC WITHOUT PREPARATION AND CONTROL COULD CAUSE LOSS OF VALUED EMPLOYEES, CUSTOMERS AND BUSINESS VALUE! Your FEC Consultant reviews client alternatives. Tax-Advantaged Asset Transfer: Financial Exchange (FEC) benefits owners by assisting to preserve, protect and maximize asset transfer proceeds and gains when transferring, acquiring, selling, exchanging, leasing, or merging businesses and business assets. Why pay Taxes Unnecessarily? Many Business Owners do! Interested in "Before Tax" or "After Tax" Results? Should one acquire, merge, sell stock, sell assets, exchange, lease, hold part or all? FEC assists owners with alternatives. Financial Exchange's mission is to offer preparatory alternative methods to efficiently transfer business and business property ownership. FEC assists the owner to incorporate organizational profit and tax saving alternatives. We at FEC feel many owners sacrifice up to 15% of transfer proceeds by insufficient organizational transfer profit planning. FEC feels that many owners also unnecessarily contribute up to 20% to resulting transfer taxes. FEC incorporates owner proceeds and tax savings advantages into a transfer agreement by negotiation with transfer entities while considering each party's specific goals. An owner could choose to sell, lease, merge, acquire, effect a buy-sell agreement, issue stock, or develop an employee stock option plan, now, or in the future. FEC can assist with most alternatives. The ultimate goal is that the owner may receive more proceeds to keep. The owner may or may not decide a course of action. When an owner does decide to lease, merge a business, acquire or be acquired, FEC appreciates the opportunity to represent the owner. Integrity, communication and information are our most important tools. FEC accumulates information during consultation and a business review. The business owner (client) identifies financial and personal goals. 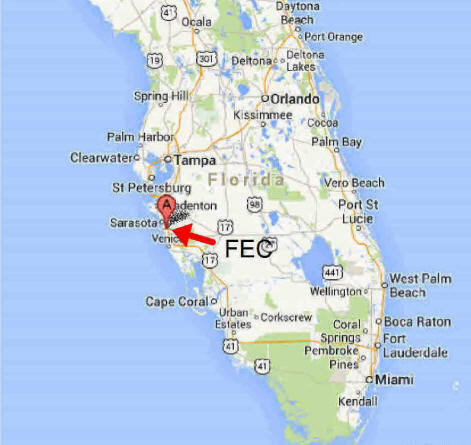 FEC develops a project structure with the owner and the owner's professional advisors. When the project structure is owner approved, project information is available for reference. Information can reviewed and updated periodically. When the owner chooses to transfer, sell, lease, merge or acquire a business, FEC assists locating and qualifying prospective entities. FEC negotiates the price, conditions and terms so that the owner receives as much return as possible considering goals in the owner's financial and estate plan. Income tax and other taxes, recapture of depreciation, intangibles and goodwill are structured to assist attaining personal goals and financial maximum return. Important options can solve other tax considerations. By coordinating the transfer of business and/or property with the designated legal council, CPA, financial institution, estate/financial planner, public offices, surveyors, and the environmental or geological ground auditors, among others, Financial Exchange Corp. assists with the preservation and protection of the owner's interest. The client personally, and the client's business, can benefit financially in the short term and the long term with a FEC business plan review. During the process of information accumulation by FEC, business procedure and operations review can recognize savings and opportunities for the owner and the business. Increased efficiency generally results in an increase in business profits, optimum business value, and owner personal gain. For more details see Owner Information or the Confidential Information Request Form. FEC consultants encourage all business owners to have a business continuation or transfer plan. Tax, financial and estate planning complete a business plan. FEC assists the owner to incorporate organizational profit and tax saving alternatives. FEC searches for strategic opportunities, common and uncommon value. FEC can represent public and private companies, as well as individuals. FEC Consultants prepare clients for an ownership transition that will happen soon, or years in the future. FEC Consultants connect business entities who either desire to be acquired, merge, acquire, add-on, lease, or transfer his/her business/business assets. FEC Consultants assist business owners to be informed of business/business asset appraised value. FEC Consultants assist business owners to receive more $, save more $ and keep more of his or her $. Add me to your E-mail list to be notified when a new Iowa Investment Opportunity is Available.